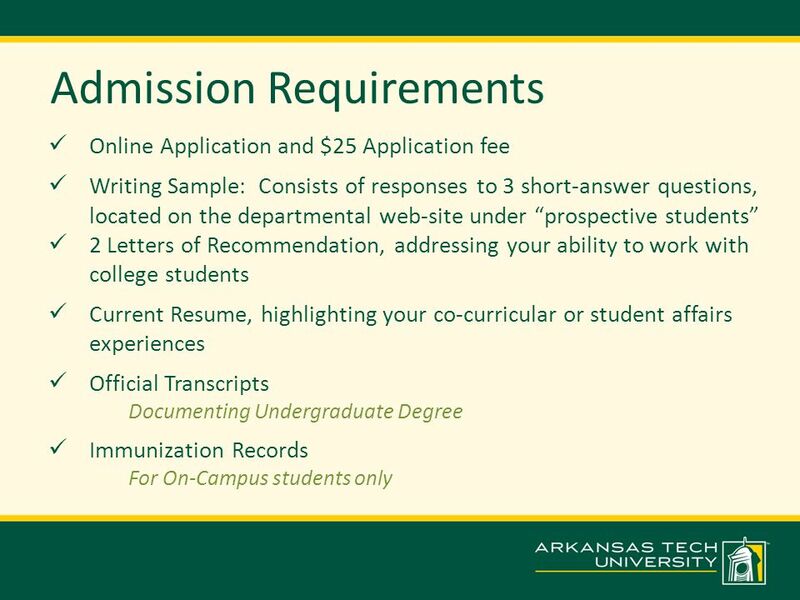 Arkansas Tech University’s College Student Personnel Master’s Program Overview 124 Crabaugh Hall – ATU Campus Russellville, AR 72801. 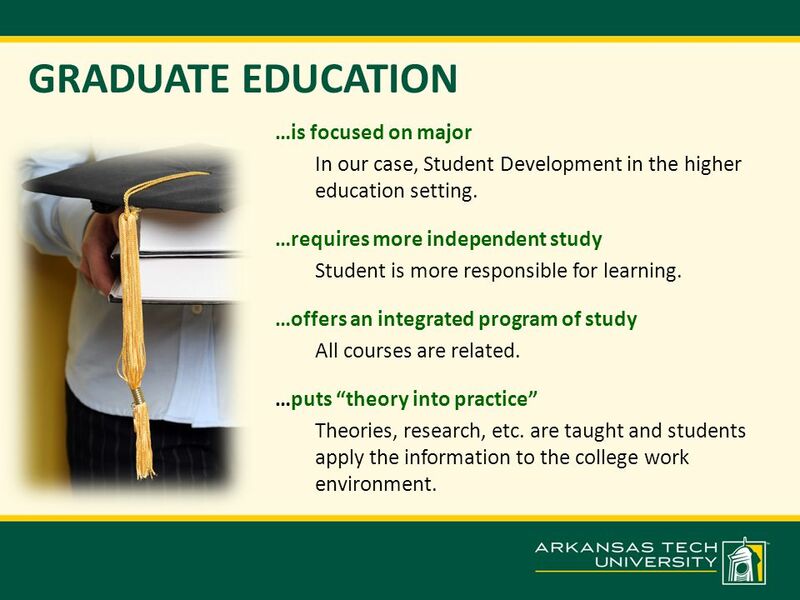 3 GRADUATE EDUCATION …is focused on major In our case, Student Development in the higher education setting. …requires more independent study Student is more responsible for learning. …offers an integrated program of study All courses are related. …puts “theory into practice” Theories, research, etc. are taught and students apply the information to the college work environment. 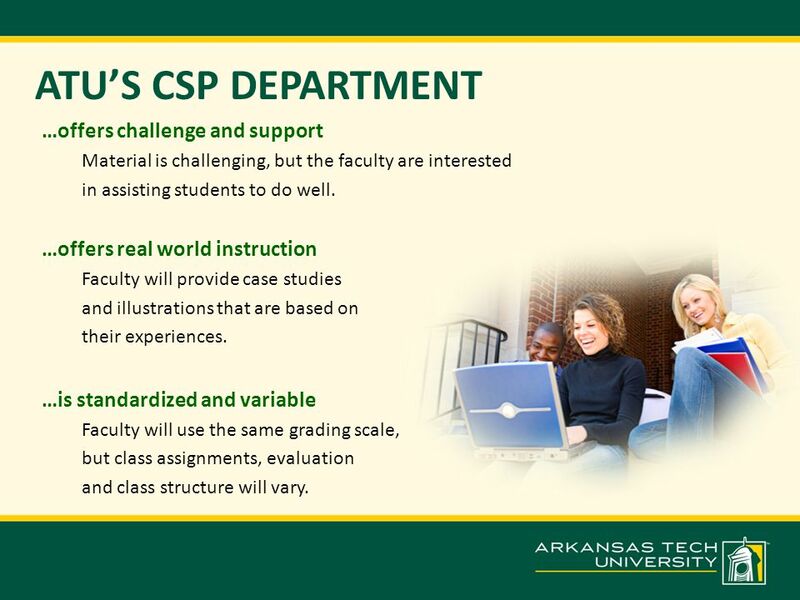 4 ATU’S CSP DEPARTMENT …offers challenge and support Material is challenging, but the faculty are interested in assisting students to do well. …offers real world instruction Faculty will provide case studies and illustrations that are based on their experiences. 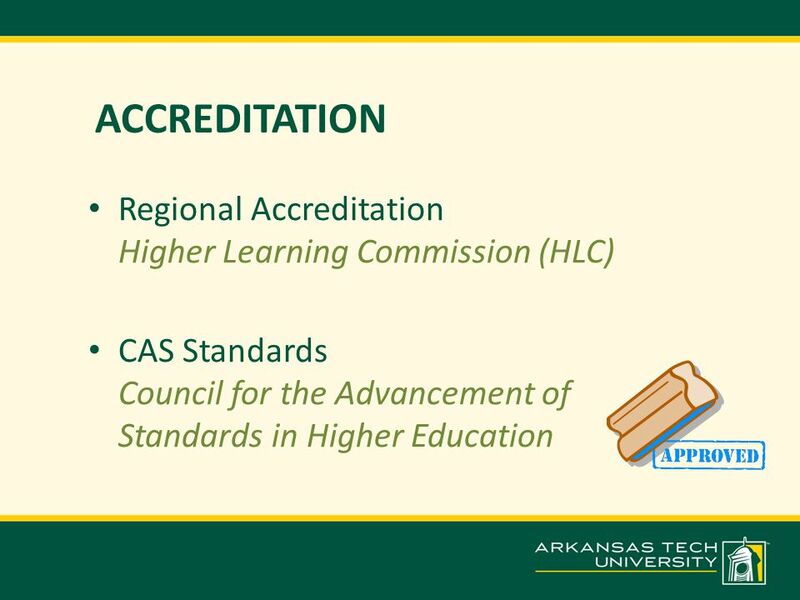 …is standardized and variable Faculty will use the same grading scale, but class assignments, evaluation and class structure will vary. 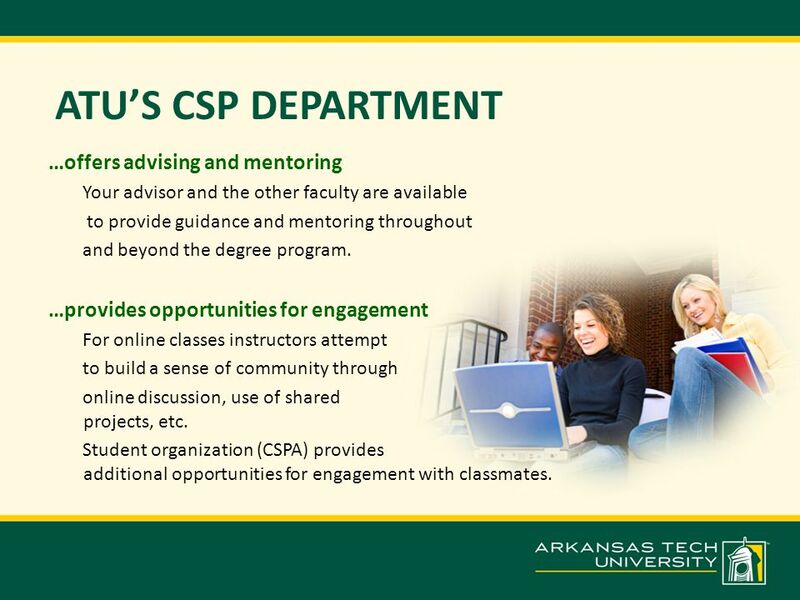 5 ATU’S CSP DEPARTMENT …offers advising and mentoring Your advisor and the other faculty are available to provide guidance and mentoring throughout and beyond the degree program. 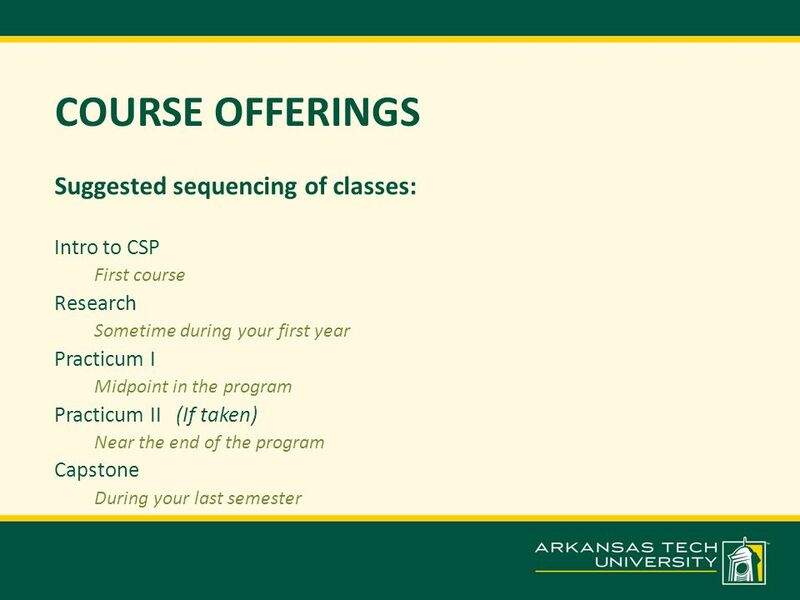 …provides opportunities for engagement For online classes instructors attempt to build a sense of community through online discussion, use of shared projects, etc. 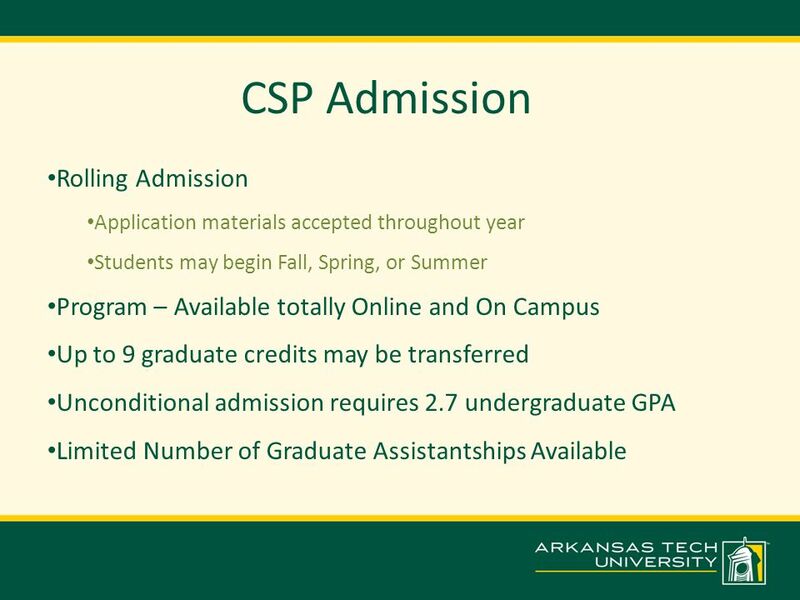 Student organization (CSPA) provides additional opportunities for engagement with classmates. 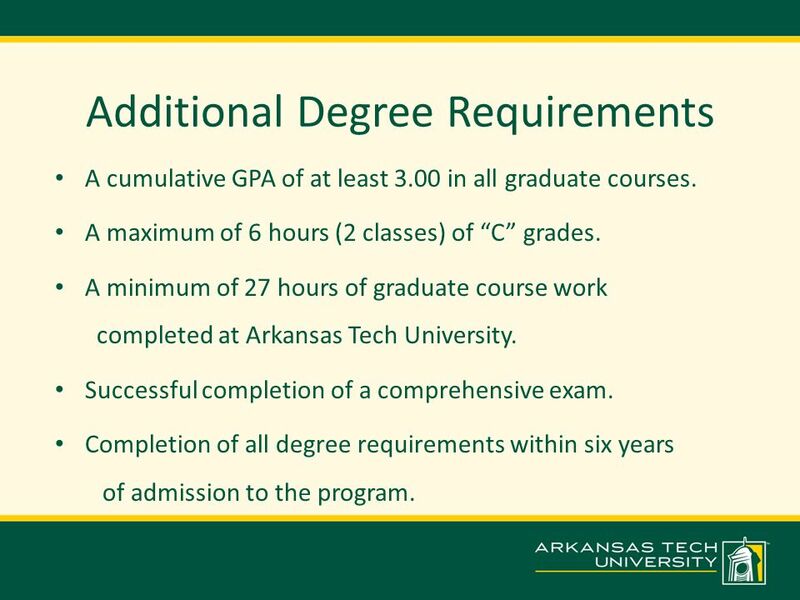 10 Additional Degree Requirements A cumulative GPA of at least 3.00 in all graduate courses. A maximum of 6 hours (2 classes) of “C” grades. 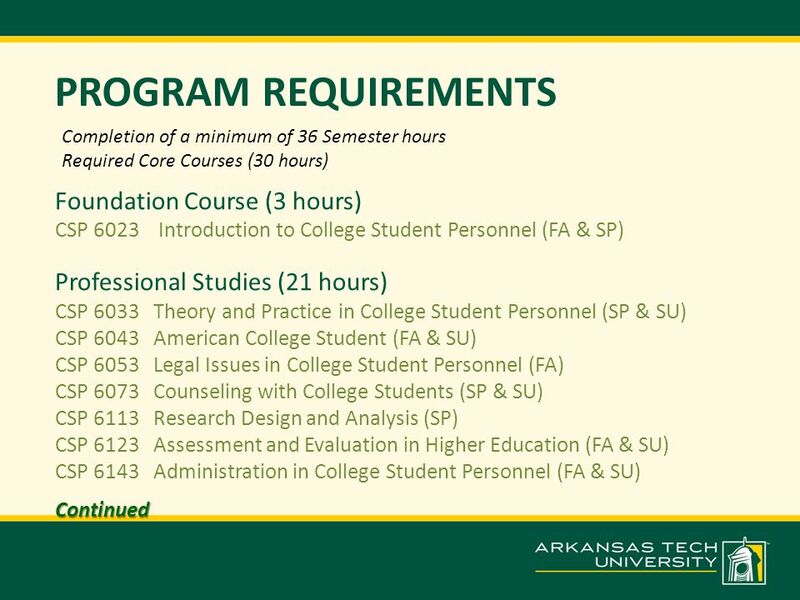 A minimum of 27 hours of graduate course work completed at Arkansas Tech University. Successful completion of a comprehensive exam. Completion of all degree requirements within six years of admission to the program. 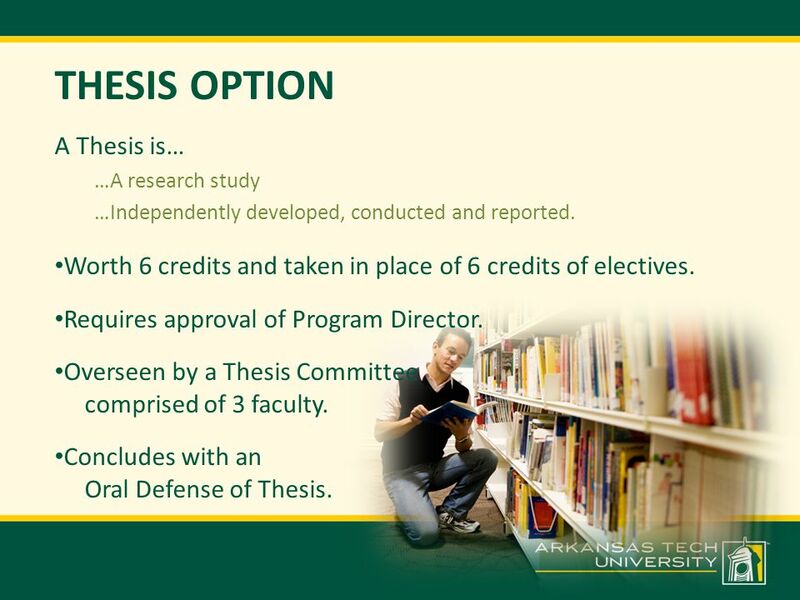 11 THESIS OPTION A Thesis is… …A research study …Independently developed, conducted and reported. Worth 6 credits and taken in place of 6 credits of electives. Requires approval of Program Director. Overseen by a Thesis Committee comprised of 3 faculty. Concludes with an Oral Defense of Thesis. 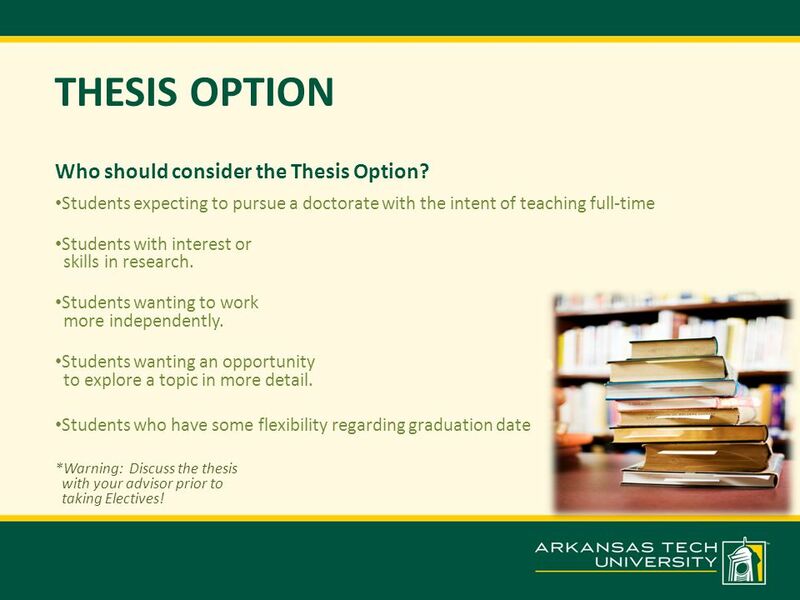 12 THESIS OPTION Who should consider the Thesis Option? Students expecting to pursue a doctorate with the intent of teaching full-time Students with interest or skills in research. Students wanting to work more independently. Students wanting an opportunity to explore a topic in more detail. Students who have some flexibility regarding graduation date *Warning: Discuss the thesis with your advisor prior to taking Electives! 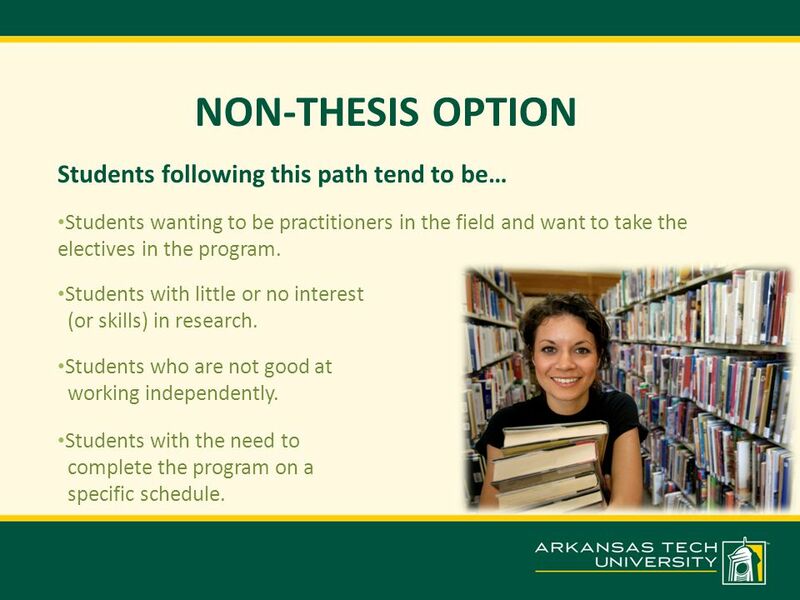 13 NON-THESIS OPTION Students following this path tend to be… Students wanting to be practitioners in the field and want to take the electives in the program. Students with little or no interest (or skills) in research. Students who are not good at working independently. 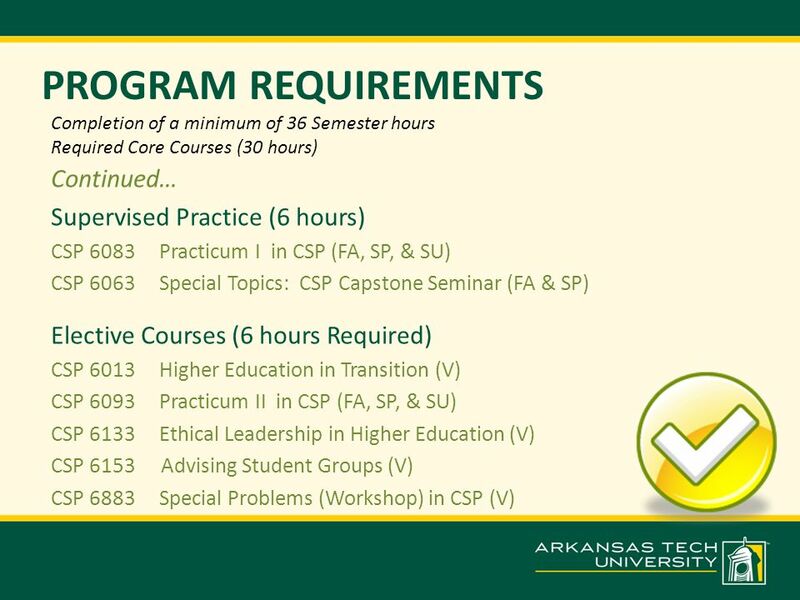 Students with the need to complete the program on a specific schedule. 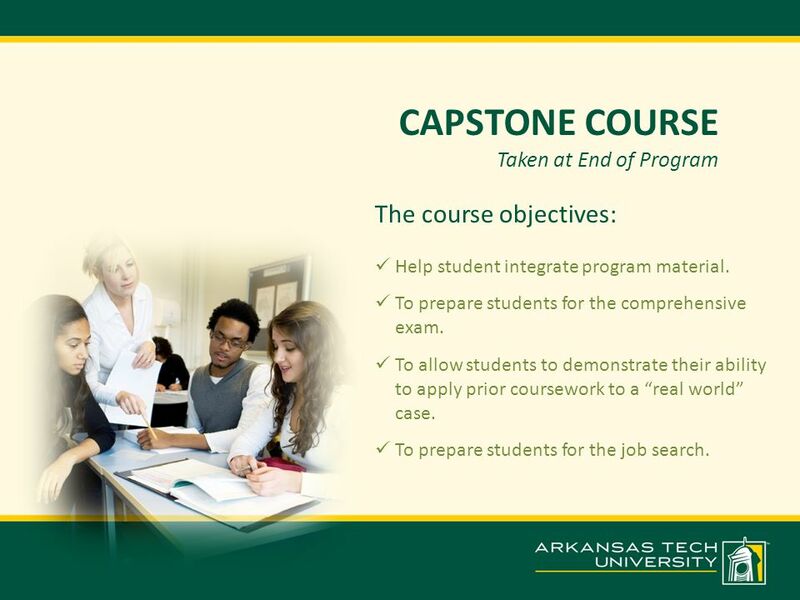 15 CAPSTONE COURSE Taken at End of Program The course objectives: Help student integrate program material. To prepare students for the comprehensive exam. To allow students to demonstrate their ability to apply prior coursework to a “real world” case. 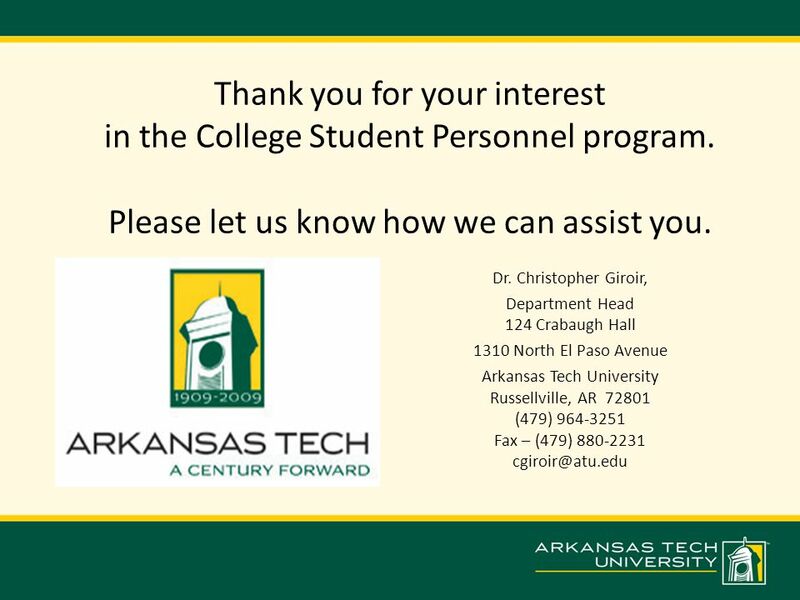 To prepare students for the job search. 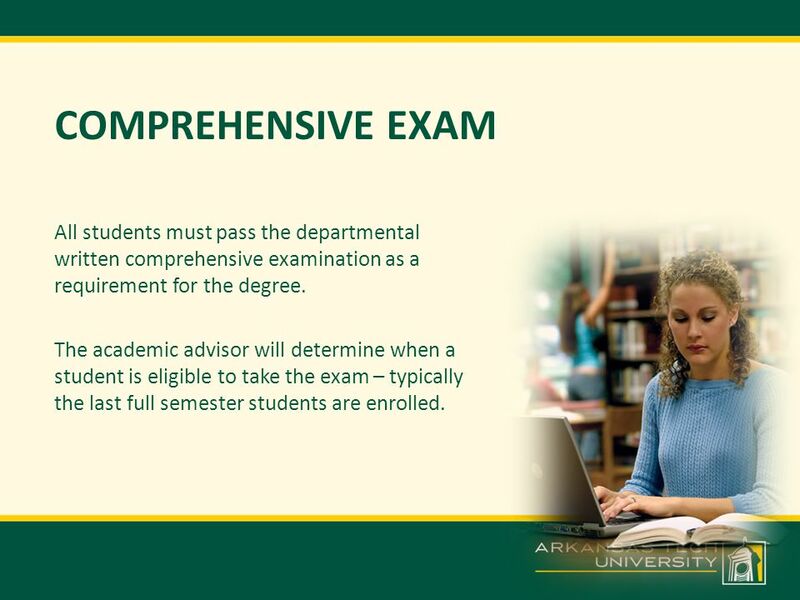 16 COMPREHENSIVE EXAM All students must pass the departmental written comprehensive examination as a requirement for the degree. 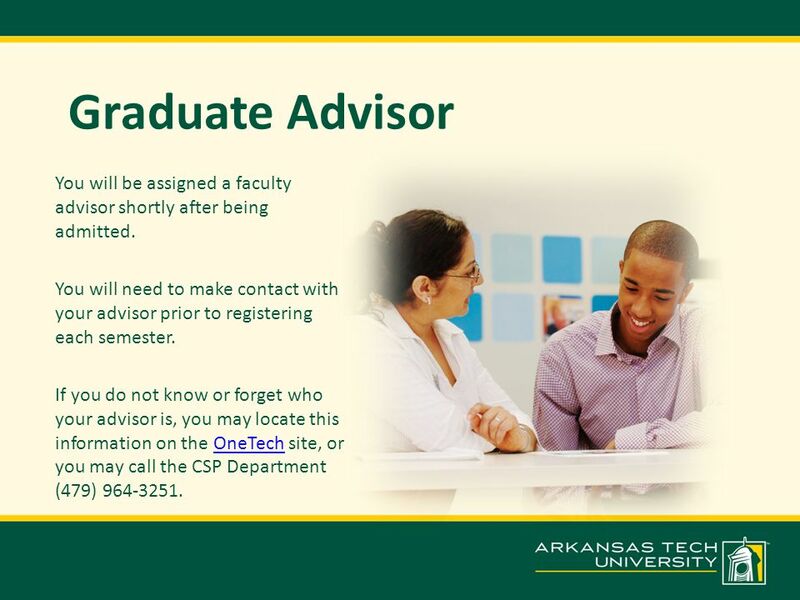 The academic advisor will determine when a student is eligible to take the exam – typically the last full semester students are enrolled. 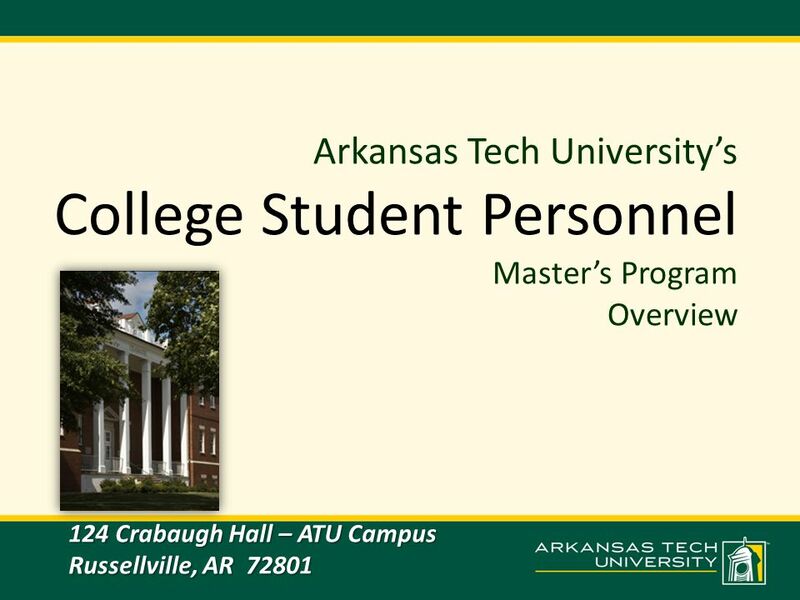 Download ppt "Arkansas Tech University’s College Student Personnel Master’s Program Overview 124 Crabaugh Hall – ATU Campus Russellville, AR 72801." RN to BS in Nursing Program University of LA at Monroe School of Nursing. CSU PATHWAYS TO EDUCATIONAL LEADERSHIP CSU High School Counselors Conference 9/24/13. Higher Education Graduate Program HIGHER EDUCATION. Spring Becoming a public school teacher in Florida requires two big steps: 1. Completing a teacher education baccalaureate degree or completing. Becoming a social work major at WKU Western Kentucky University College of Health & Human Services Department of Social Work BSW Program. Progressing Through the Graduate Program in Recreation Administration Progressing Through the Graduate Program in Recreation Administration. 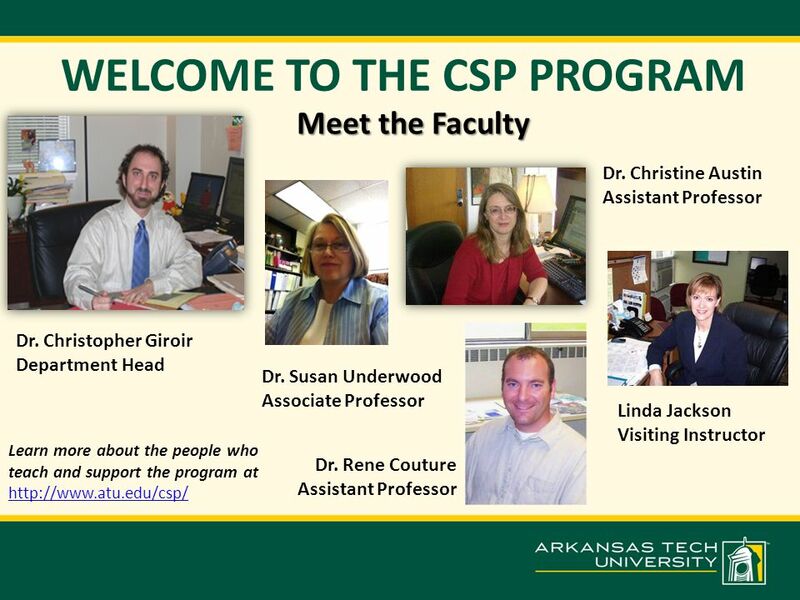 Graduate Student Orientation Psychology and Counseling Department. The School Of Education Doctoral Orientation Summer 2011. 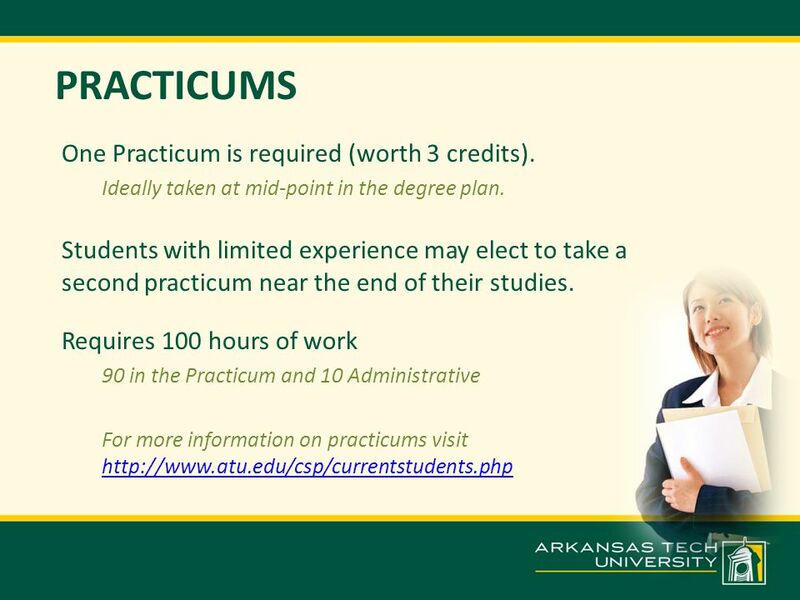 Curricular Practical Training (CPT) Internship/Practicum Opportunities DURING your Degree Program Revised 05/21/2010. What is Community of Learning? A program that: Focuses on the needs of professional educators by forming a community with the common goal of completing.